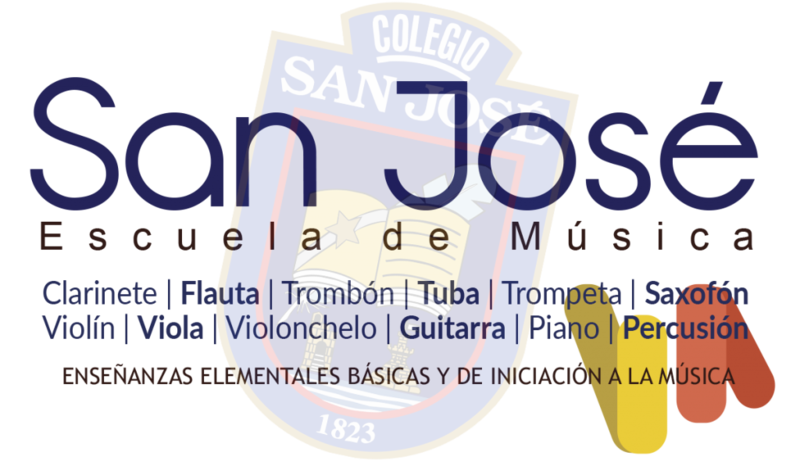 The San José Music School is licensed by the Andalusian Board of Education to teach elementary level Music, with a total of 160 places available between “Initiation Elementary Classes” and “Basic Elementary Classes”. A Music School not only open to pupils from the centre but also to all who wish to join. 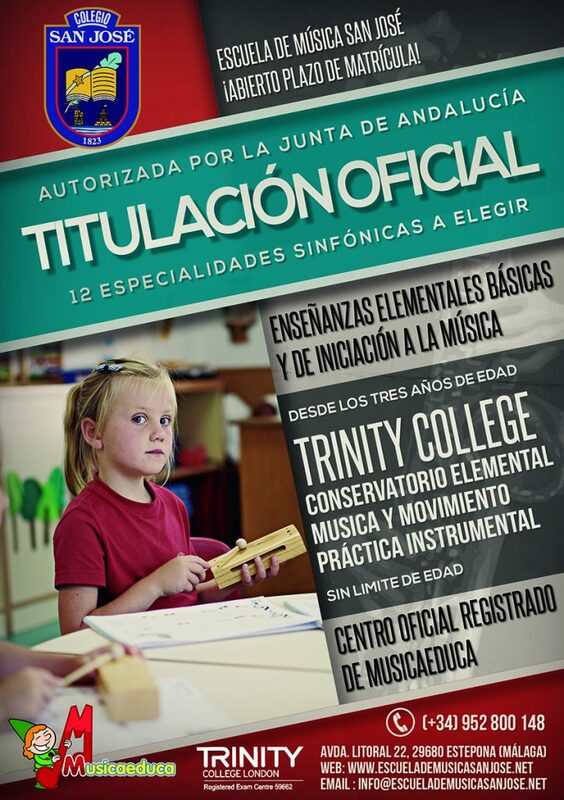 The Official Elementary Certificate will be issued by the Andalusian Board of Education once the Basic Elementary Classes have been completed in any of the 12 symphonic specialities that the Music School is authorised to teach. By order of the Andalusian Department of Education, Culture and Sport on 29th August 2014 the San José Music School is licensed to open and function, with a total of 160 school places, between Basic Elementary Classes and Initiation. The San José Music School is in a privileged location, with special adapted classrooms for individual and group practises, equipped with audio-visual and computing aids to provide a more innovated approach to teaching the necessary instruments. WIDE SELECTION OF COURSESTWO DISTINCTIVE COURSES: ONE REGULATED, WITH THE OPTION OF OBTAINING THE ELEMENTARY MUSIC CERTIFICATE, AND THE OTHER PURELY PREPARATORY AND/OR AS A HOBBY. Even though the contents of each of the courses we offer will be explained further on, it is important to know what options are available per age group for a pupil wishing to register with the San José Music School. Musizón books II and III. Instrumental Practise III. Individual classes. Instrumental Practise I and II. Group classes. Instrumental Practise III. Individual clases. Elementary Music Cycles I and II (Elementary Conservatory). These classes are open to pupils from 8 years of age (School year). 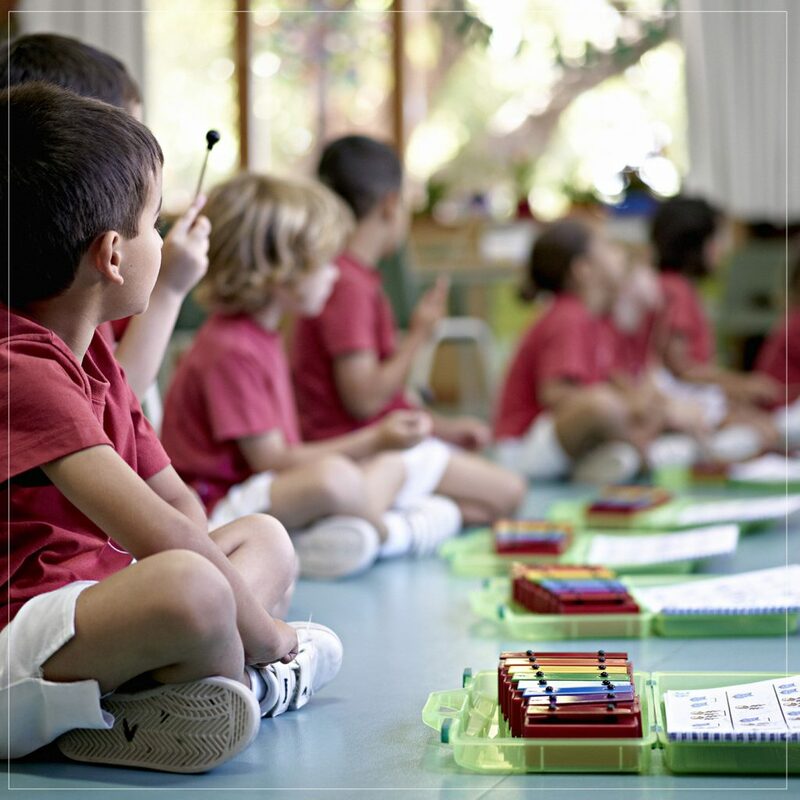 Music Classes from the age of 3 with Music and Movement using educational methods and innovative educational tools such as the ones regulated by the Musicaeduca Institution to which this Centre is registered and Authorised to teach with the books “Musizón”, “Mi Violín”, “Mi Teclado” and “Percubón”. The San José Music School has a teaching team formed by twelve top graduates in their distinctive symphonic specialities: Viola, Violin, Cello, guitar, piano, percussion, clarinet, flute, trombone, tuba, trumpet and saxophone. Official Double Certification choice possible. 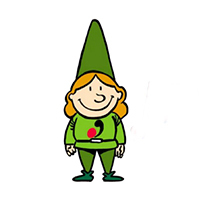 The Trinity exams are recognised Internationally and accredited by Ofqual (The Office of Qualifications and Examinations Regulation) in the United Kingdom which conform with the European Qualifications Framework (EQF) levels.  BASIC ELEMENTARY CLASSESTEACHING HOURS AND SUBJECTS INCLUDED IN EACH COURSE OF EVERY CYCLE OF THE MUSIC ELEMENTARY GRADE. Instrument: There will be 2 hours of group classes per week, with a maximum of three pupils per class. Musical Language: There will be 2 hours of group classes per week. Instrument: There will be 1 hour of individual classes per week. Choir: There will be 1 hour of group classes per week. Musical Ensemble: There will be 1 hour of group classes per week. EXPLANATORY VIDEO OF THE COURSESWE EXPLAIN IN DETAIL OUR EDUCATIONAL MODEL AND THE DIFFERENT TEACHING AREAS. ELEMENTARY INITIATION CLASSESTHEORETICAL AND PRACTICAL CLASSES THAT ALLOW THE PUPIL TO ENJOY MUSIC BOTH INDIVIDUALLY AND IN A GROUP, PROVIDING THE NECESSARY ORIENTATION AND PREPARATION FOR POSSIBLE ACCESS TO PROFESSIONAL STUDIES INVOLVING MUSIC. Initiation Level, Basic, Medium and Advanced Preparation. Attending to the necessities and capabilities of the pupil, in the first few classes he/she will have the opportunity to choose to begin with the theory, group or individual music practise. Classes of 5 to 10 pupils, organised in groups from 3 years of age. Teaching material: “Musizón textbooks”. Two 45-minute classes a week. Classes of up to 8 pupils max, organised in groups from 5 years of age. Teaching material: “Mi Teclado”, “Mi Violín” or “Percubón”. Two 45-minute clases a week. Classes of up to 3 pupils max. with no age limit. Teaching material: Our teachers’ own material. One class of instrument practise a week plus one hour a week of musical ensemble. Individual classes. No age limit. Teaching material: Our teachers’ own material. One class of instrument practise a week plus one hour a week of musical ensemble. FIRST CLASS TEACHING STAFFTHE SAN JOSÉ MUSIC SCHOOL HAS 12 MEMBERS OF TEACHING STAFF WITH HIGH LEVEL QUALIFICATIONS IN THE DIFFERENT SYMPHONIC SPECIALITIES: VIOLA, VIOLIN, CELLO, GUITAR, PIANO, PERCUSSION, CLARINET, FLUTE, TROMBONE, TUBA, TRUMPET AND SAXOPHONE. 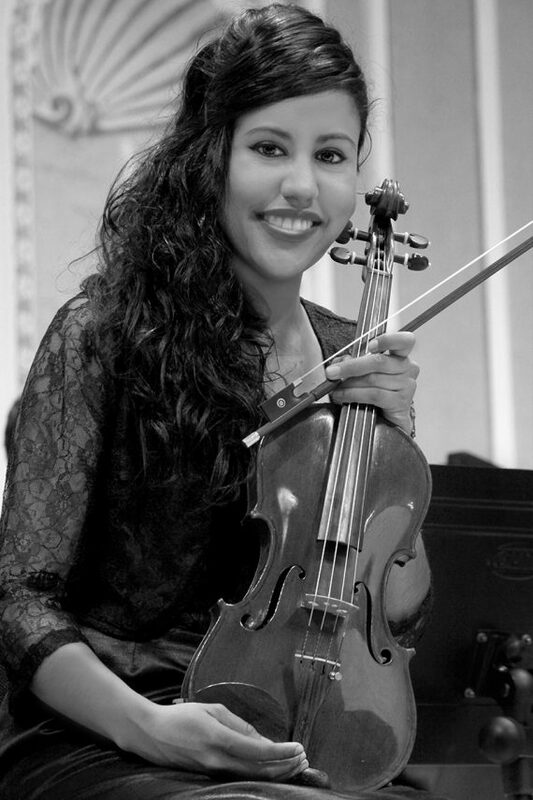 She started to be in contact with the World of music at a very young age through her father; violinist, composer and ex-director of the National Symphonic Orchestra in El Salvador, Don Gilberto Orellana Castro. She has learnt with the greats throughout her career, on a par with: Ahmed Rahmani, Davor Kuljeric, Vadin Brodsky, Vartan Manoogian and the Armenium Great, Ara Vartanian. Higher Education Degree in Music, Specialising in Violin, holder of the Pedagogical Aptitude Course (CAP), which accredits her to teach. 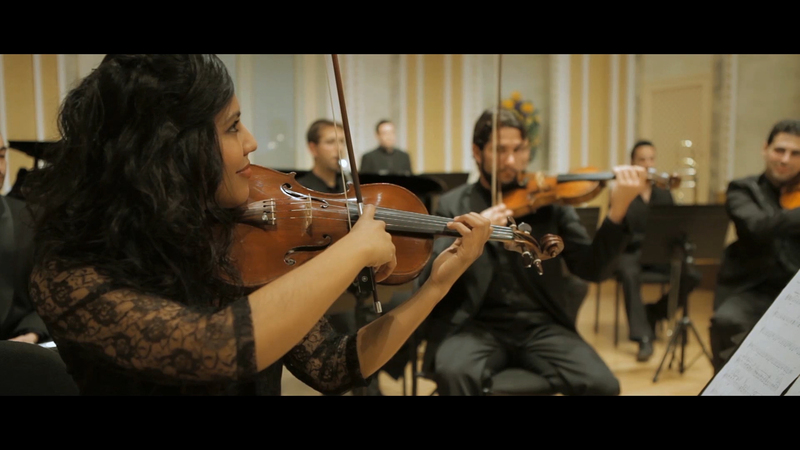 She has gained experience as a professional in orchestras such as the Philharmonic Orchestra of Malaga, the Chamber Orchestra of Almeria, or the Symphonic Orchestra of Malaga, where she has had the opportunity to be directed by big names such as Michael Thomas, Octav Calleya, Aldo Ceccato, or Vladimir Ashkenazi, and soloists of the category of Maxim Vengerov, Ara Malikian, Lavard Skou-Larsen, Joaquín Achúcarro, Plácido Domingo, José Manuel Zapata, Javier Perianes, or Vicente Amigo. With teaching experience in centres such as the approved Higher Musical Progress Centre (Madrid), or the Exclusive Music Education (American School of Dubai, UAE). 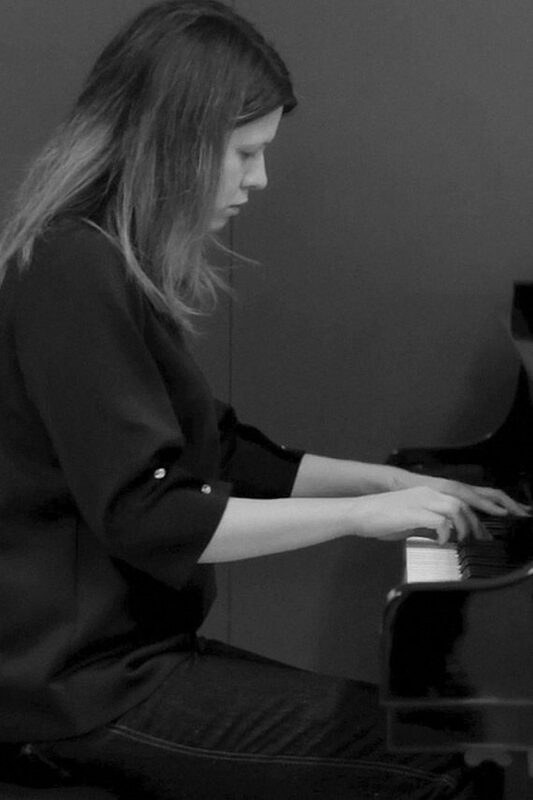 He has assisted master classes with prestigious international pianists: María Aseeva (Russia), Frank Wasser (Germany), Nico Benadie (South Africa), Boris Kraljevic (Montenegro) and Joana Trzeciak (Poland). Higher Education Degree in Music, Specialising in Piano, having a Postgraduate Diploma in Music Education. She has expanded his studies by completing a series of postgraduate courses in Piano, Piano Performance and Chamber Music. Taught by great professors such as Dejan Sinadinovic, Carles Lama and Niebla, Josep Colón, Sofía Cabruja and Casas, or Imre Rohmann, among others. Awarded several prizes including the International Piano Contest Citta di Stresa (Italy) and the Arthur Rubinstein International Piano Contest (France). He has trained in orchestral repertoire and chamber music alongside the greats such as Rudolf Korp, Gabor Tarkövi or Martín Baeza. 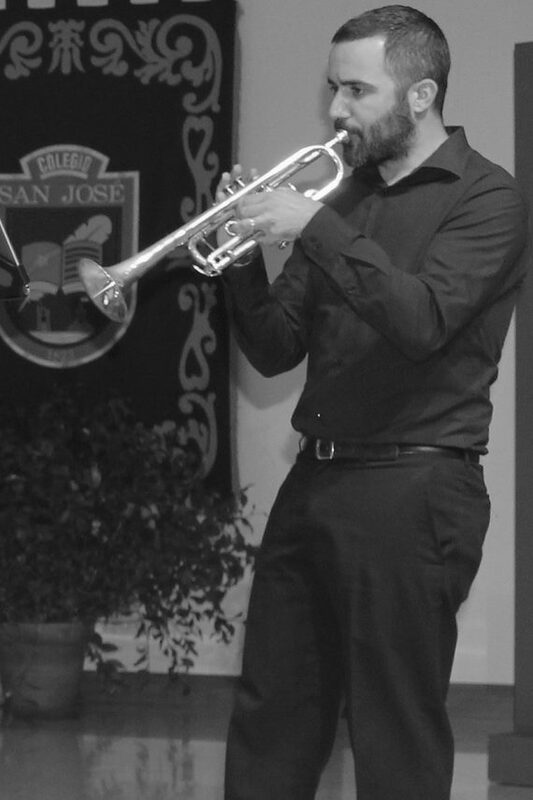 He has received a number of specialisation courses on the trumpet and on chamber music with teachers such as Manuel Blanco, John Aigi, Pacho Flores, Fabio Brum, Benjamín Moreno, Raúl Díaz, etc. Higher Education Degree in Music, specialising in Trumpet. He has expanded his studies at the Brass Academy Alicante. He has experience as a teacher in music schools, such as the Nerja Municipal School of Music and Dance. He has collaborated on numerous occasions with the Provincial Symphony Orchestra of Malaga or the Andalusian Opera House, as well as with a large number of modern music groups. Revolution Slider Error: Slider with alias anuncios-escuela-de-musica not found. TRINITY COLLEGE MUSICTHE TRINITY EXAMS ARE RECOGNISED INTERNATIONALLY AND ACCREDITED BY OFQUAL (THE OFFICE OF QUALIFICATIONS AND EXAMINATIONS REGULATION) IN THE UNITED KINGDOM WHICH CONFORM WITH THE EUROPEAN QUALIFICATIONS FRAMEWORK (EQF) LEVELS. THE GRADES, 6 TO 8, ARE ALSO CONSIDERED FOR ADMISSION INTO UNIVERSITIES AND CONSERVATORIES IN THE UNITED KINGDOM. Trinity music grade exams are designed to provide a structured learning process that nurtures development and assesses the progress of the musician at every level. 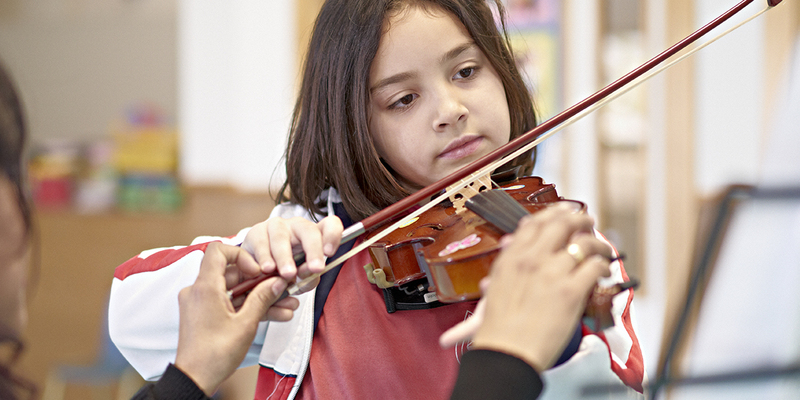 Music tests develop everyday real-life skills, creating creative and confident performers. The higher grades are recognized by many educational authorities at an international level. WHO ARE THEY OPEN TO? The music grade exams are open to musicians of any age willing to develop their musical abilities through progressive learning and evaluation. An exciting programme of theory and exercise books in Spanish to accompany the practical music classes. Variety in support tests and flexibility in the technique options. Teachers and examinators who themselves are musicians and expert performers, qualified to give the maximum support and motivation throughout the examination process. Qualifications that are recognised internationally with UCAS credits. The system provides clear and detailed qualifications, fast results with individual reports. 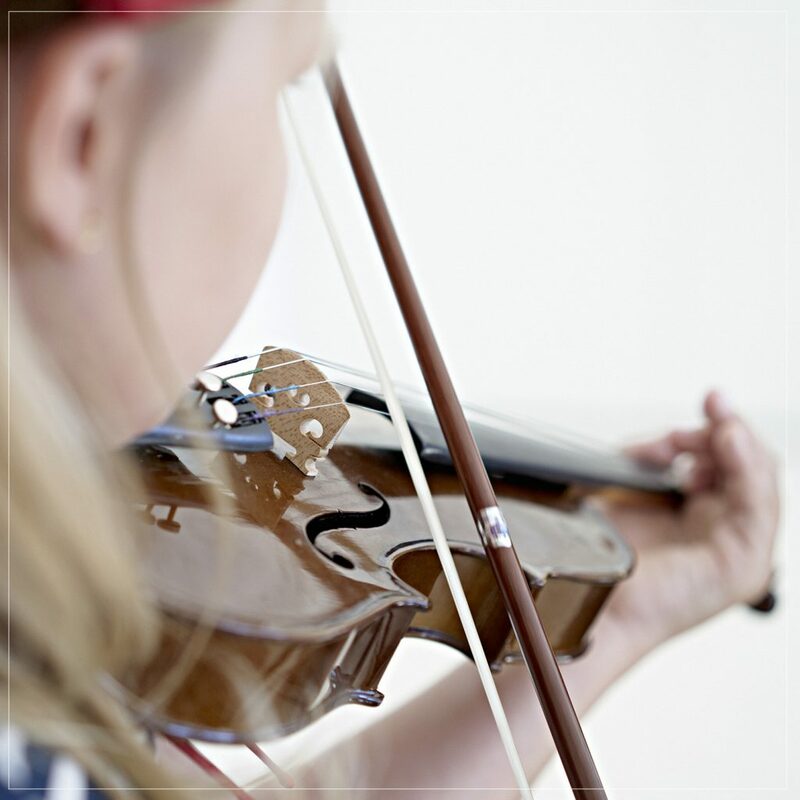 A grand variety of instruments and specialities to choose from both in Instrument practise and Elementary Classes: Violin, Viola, Cello, Guitar, Piano, Percussion, Clarinet, Flute, Trombone, Tuba, Trumpet and Saxophone. MUSICAL INITIATION: MUSICAEDUCAMUSIC AND MOVEMENT, AND INSTRUMENT WORKSHOP. The initiation of an artistic discipline is a very important and delicate period. This is where the musical learning curve is the steepest, as the pupil begins by familiarizing himself/herself with the instrument and ends up with basic knowledge that enables him/her to practise the instrument as such, should he so decide. This type of education is passed on to boys and girls whose bodies are in constant physical, intellectual and emotional development, who are in need of specially adapted concepts and methodology: applying instrumental instruction based on group practices and better learning continuity through two weekly sessions. In this aspect is where “Musicaeduca” comes into play as an attractive, novel and complete musical methodology for initiating the first musical instruction. This is thanks to the way it presents itself, being meticulously structured and documented, with numerous audio-visual tools, exercises and notes. 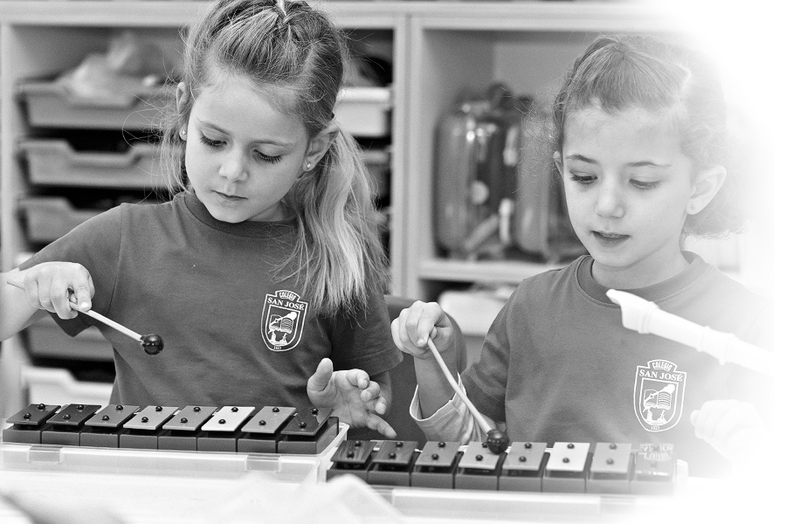 Conceived as an experience which familiarizes the pupil with musical facts and body movement, enriching and rewarding so that it serves as a starting point to developing their musical potential and motor functions. FROM 3 YEARS OF AGE. Even the young children have the opportunity to receive Early Musical Stimulation in their parents’ company. Children from 5 years old have a choice between “MI TECLADO” (My Keyboard), “MI VIOLÍN” (My Violin), and “PERCUBON” (Musical experimentation), a novel methodology that aids musical initiation through the keyboard, the violin and various percussion instruments. The pupils learn an instrument and the musical language together for the first time in groups, mixing contents and relating each theoretical experience with practice through the original course songs. In this way the pupils exchange experiences and knowledge, promoting motivating contexts at all times. REQUESTING A PLACETO FORMALLY REQUEST A PLACE IN ANY OF THE DISTINCTIVE COURSES OFFERED BY THE MUSIC SCHOOL, EITHER BASIC ELEMENTARY CLASSES (REGULATED) OR ELEMENTARY CLASSES & INITIATION (NOT REGULATED), WE KINDLY ASK THAT YOU FILL IN ALL THE CORRECT DETAILS IN THE CORRESPONDING FORM, INDICATED AS FOLLOWS. Filling in the form does not guarantee an immediate place on the course, however as soon as the form is received we will contact you to inform you of availability. 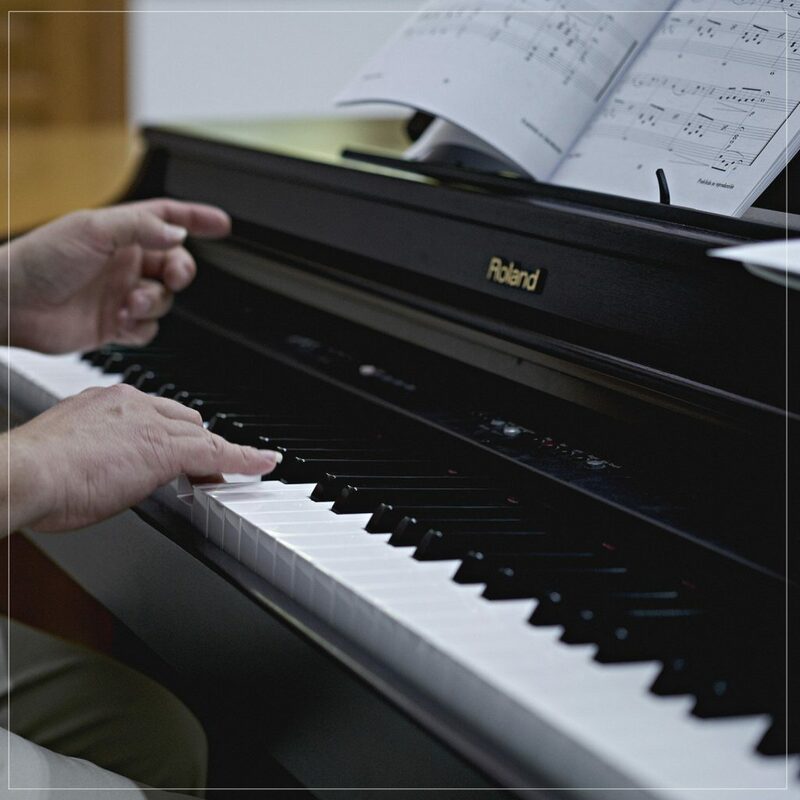 As we are authorised to function as a Music Conservatory, we also operate using their same rules and regulations. Click on the link underneath this text saying “REGISTRATION FORM” and a new window will be opened immediately containing the form. Download it on your computer (if you right-click on the form you can choose the “save as” option) as any information introduced directly will not be saved. Once downloaded to a known location on your computer the form may be completed in its entirety and saved. Once complete the form needs to be attached and sent via email to our email address. If you need any help during this process please don’t hesitate to get in contact with us through the “Contact” section of our website. Contact:IF YOU REQUIRE FURTHER INFORMATION PLEASE GET IN CONTACT WITH US.